Cancellation deadline is September 10, 2018. If you must cancel anytime before September 14, 2018, please notify the NPFDA office at 770-535-9901. If you must cancel after September 14, 2018, please call the hotel directly at 727-401-3600 as we will be traveling or on-site. There will be NO REFUNDS after September 10, 2019 as we will have to pay the hotel as if you were there. You must cancel your room (with NPFDA) NO LATER than 72 hours prior to arrival or the hotel will charge a one night stay. Room Reservation Deposit and Cancellation Policy. On December 15, 2018 a one night room and tax deposit will be placed on the credit card provided. 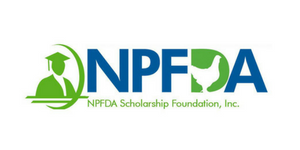 Send all written cancellation request to 770-535-7385 or email info@npfda.org. Cancellation received by January 25, 2019 will receive 100% of their deposit refunded. Cancellations received between January 26, 2019 and 72 hours prior to arrival date will receive 50% of their deposit refunded. NO REFUNDS for cancellation made within 72 hours of arrival or no shows. There wil lbe NO REFUNDS for convention cancellations after January 25, 2019. Event substitutions/changes will not be accepted after February 1, 2019.